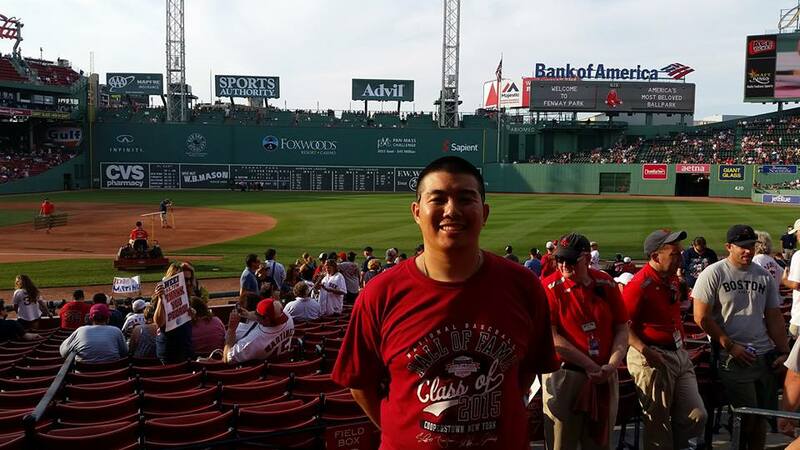 I am so happy that I was able to make it out to Fenway Park on Tuesday. Since I went to Cooperstown this weekend to celebrate Pedro Martinez’s induction to the Hall of Fame, it was pretty cool that Tuesday was the day the Red Sox would retire his number. When I found out about it, I switched up some of my original itinerary to go to this specific game. I had taken a walk along the Boston Freedom Trail all day but I knew this was my highlight. As a baseball junkie, visiting this old park was essential for me. As a kid I was always fascinated with the layout of the park, especially the Green Monster. So after getting off the metro station, I walked over to Yawkey Way. But first, before I even went there I saw the retired numbers all lined up. And right there, was Pedro’s number. I had to take a picture. As a big sports fan, I should have known this. But I didn’t realize that the Basketball Hall of Fame is only a two-hour drive from Boston. Only up to a week before my trip to the East Coast did a suggestion to go there come up. 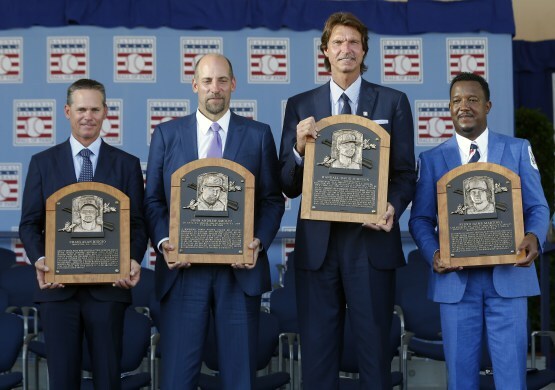 I didn’t really think the Hall of Fame would be that great considering I hear so little about it. But still, I love basketball and I had to go check it out. I avoided traffic by driving out there a little late, getting there a little before 1PM. I have to say that the location of the museum is unassuming. It’s attached to a Subway and Coldstone. Additionally, it’s not even that noticeable until you actually look at it from one end and realize that it’s the Hall of Fame. Inside is a little different. It’s only three floors in a very small building (for a museum) but it still has its charm. On the first floor is this full length court. People are invited to shoot basketballs around. Along one wall is the lined up with the evolution of hoops. It’s not easy shooting a ball into a peach basket. The first floor is just a great location for playing basketball. The highlight for me began on the top floor. What a tremendous day it was for me. I boarded my flight late Friday night, arrived in Detroit, then flew out to Albany. I rented a car and drove an hour to Cooperstown. I arrived around lunch time and the first thing I did was grab a bite from a local cafe. I visited Cooperstown back in 2008 so this is not anything new for me. My whole goal was to witness the induction ceremony. Everything else was a bonus. Because of such long lines to the museum, I decided to wander around Main Street. The street is filled with baseball memorabilia shops. The last time I was here, I didn’t really give it a good look. This time around, I found some really cool gems. Mickey’s Place is one of my favorite shops but I didn’t discover its existence until after I left my first trip. This time I went there. Since I had already bought so many caps from them online, there was nothing there that I needed. It was still nice to see their stock. For several years I have been planning a trip back to Cooperstown. I went there in 2008 and wanted to return last year for Frank Thomas. That didn’t work out but this year, I knew I had to make it. I booked everything three months ago and now this weekend I will finally be there. Just look at that class. Phenomenal! I am a huge Pedro Martinez and Randy Johnson fan. 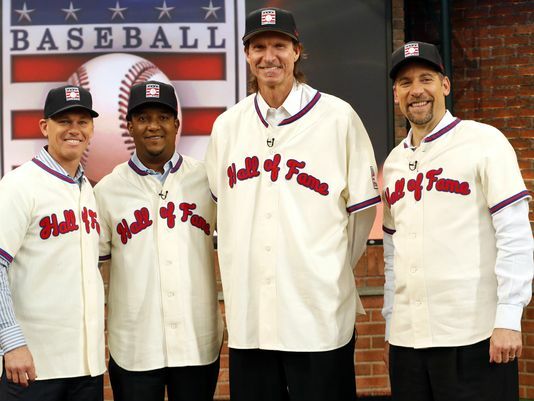 John Smoltz was my favorite pitcher from the Braves trio and Craig Biggio was just nails every time. This was my childhood. 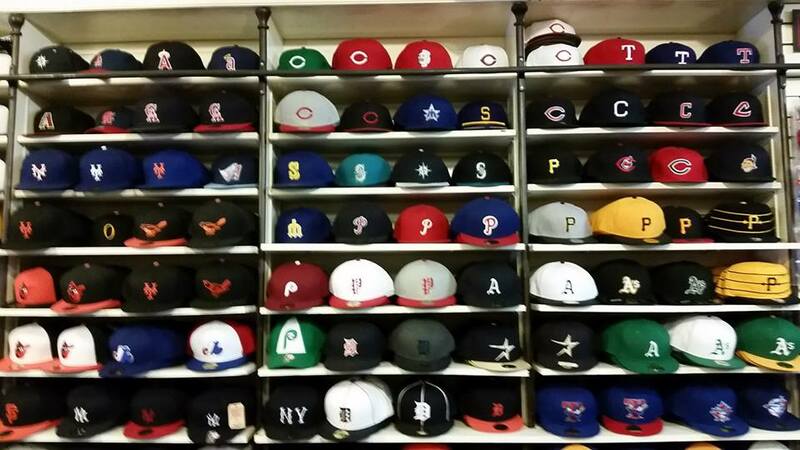 This is why I love baseball. It’s going to be crazy flying out to Albany tonight and driving all the way out to Cooperstown. But for the induction ceremony, I have to be there. 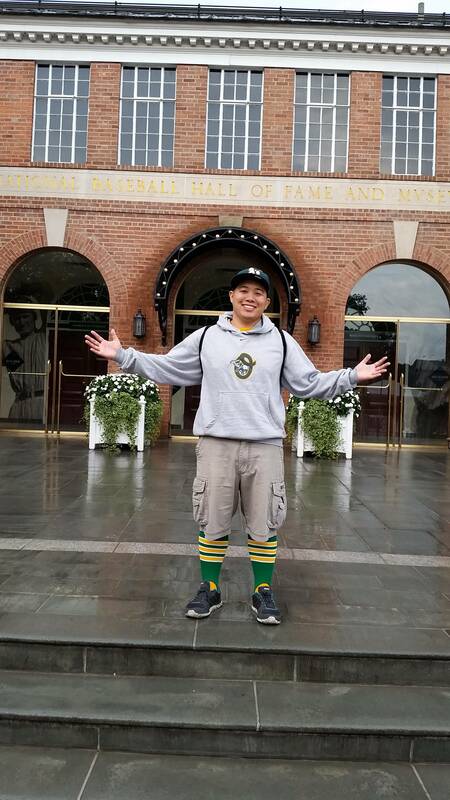 Then after all that, I will be driving out to Boston to visit Fenway Park on Tuesday for Pedro’s jersey retirement. That’s my first time ever at Fenway. I am really excited for that. But before that on Monday, I will head out to the Basketball Hall of Fame. This is going to be real exciting to visit this museum. That just leaves the Hockey Hall of Fame as the last one for me to visit. This is my weekend. I will share as much as I can on social media. I am really excited for this. I think I might go back next year. Click the link for all the description. I don’t want to write out every detail, but I will point out that this offseason of changes has been terrible. There have been some successful uniform changes such as the Bucks rebrand and the Sixers going a little more simple. But overall, the new uniforms are terrible. There are more sleeves and more logo-centered designs. Additionally, there are so many gray uniforms now that have forced the officials to wear white shirts. I don’t think I can recall a time where so many uniform updates came in one offseason. The Raptors look bland and some alternates look terrible. If this is an official style guide, then I am disappointed. But maybe they won’t look so bad in person. Or maybe they are that bad. Here’s to hoping for something better. But hey, “The City” throwbacks are returning!